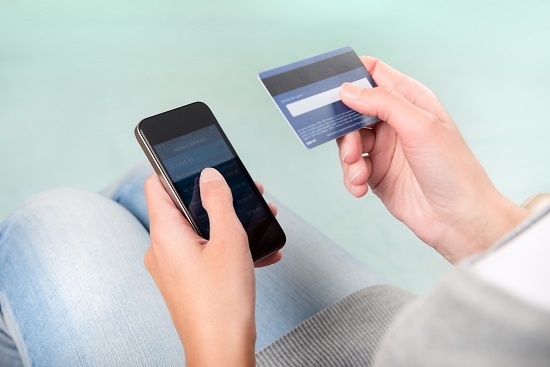 Is Your Website Mobile? If Not, It Should Be! In today’s digital society, people spend countless hours on their mobile internet browsers. As a result, it is essential for businesses to have mobile-friendly websites with features that work across various platforms. Despite this rise in mobile browsing, most websites that have been developed over the last few years are not mobile friendly; this lack of functionality is incredibly frustrating for your viewers, which inevitably has them leaving your website from their online devices in less than five minutes. In fact, about 74% of users will leave a website that is not mobile-friendly within this time frame. In short, not having a website that functions properly on mobile devices drives customers away from your website—away from the products and services that you are offering. 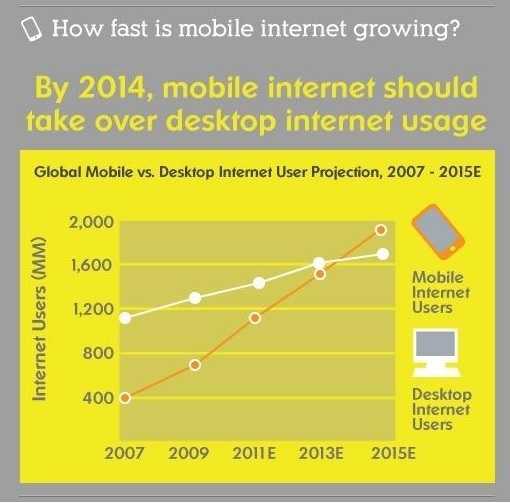 As you can see from the infographic below, mobile internet usage is growing a rate that is so fast that by next year more people will be using their mobile devices to browse the internet more often than they use their desktop and laptop computers. However, mobile devices are only part of the equation. A high-functioning website and the most effective websites in today’s digital world are websites with a design that functions across the entire spectra of mobile browsing devices—desktops/laptops, mobile devices, and tablets.These devices have different operating systems, different screen sizes, different resolutions, etc. Therefore, your website features have to be able to function across these various systems in order to be the most effective. For example, if you have a video on your website that will not play on someone’s iPhone, then you are cutting out a large number of customers or potential customers by not having a video format that is supported by this incredibly popular mobile device. In conclusion, the most effective websites have a mobile-friendly version of the website that provides users with a high-quality experience regardless of which device they are using to access your website. Not having a mobile-friendly website with exceptional functionality can lead to customer frustration and potentially drive people away from your website and therefore away from your products and services—ultimately affecting your bottom line.